Cork is available to us in 2 forms. Engineered or Solid. It is suitable for people with allergies & very easy to maintain. Prefinished Engineered Cork can be re-sanded & with a Uniclic glue-less joining system there are no gaps & boards can be easily replaced. One of the most environmentally friendly products available. Cork is an incredibly sustainable product, as it is the outer bark of the tree which is stripped off & then it regenerates to be used again, and again..and again. Once you’ve lived on Cork flooring, it’s hard to settle for anything else. But, it is often viewed as an old-fashioned, orange coloured, but warm flooring. NO LONGER! Recent technological advances have made it a modern, innovative & attractive alternate floor covering to tiles. It has fantastic insulating qualities & is naturally warm to touch, therefore potentially saving on your energy costs. If you want Eco-Friendly – go for CORK. It is an extremely renewable resource from sustainable plantations, of which the bark of the tree regenerates over & over again. Low VOC Emissions & non toxic products used in its manufacture make it ideal for use in the home or commercial setting. 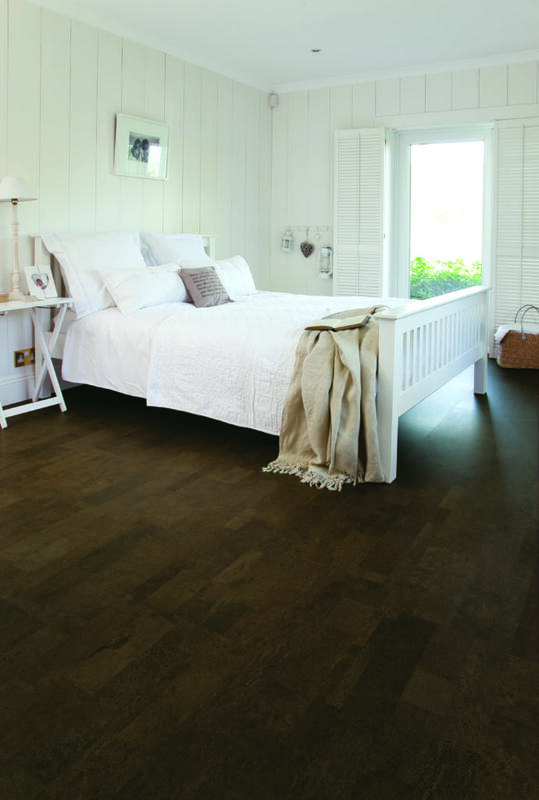 ReadyCork AMBIENT has a UNICLIC patented profile – Easy to install & exceedingly strong Square Edge, 910x300x10.5mm tiles with a UV cured Matt Lacquer of 5 coats 3.2mm Top Cork layer Moisture resistant HDF Core, 1.8mm cork backing to balance & works as your underlay Black plastic moisture membrane required over sub-floor. Premium Traditional High Density Cork Tiles are 305x305x6mm & adhesive backed with a square edge. They are glued to your sub-floor, then sanded & coating is applied after installation. It’s important to remember that cork tiles do change colour over time from oxidization & will not always match new cork if you are adding to or repairing damaged tiles.